The sign up form is simple with standard fields. Plaxo does require you to specify your gender and they explain up front that it’s used only to address you appropriately. The account has to be activated from the mail sent to your primary email inbox. The dashboard is simple and uncluttered. Your profile lists your work and home contact details. 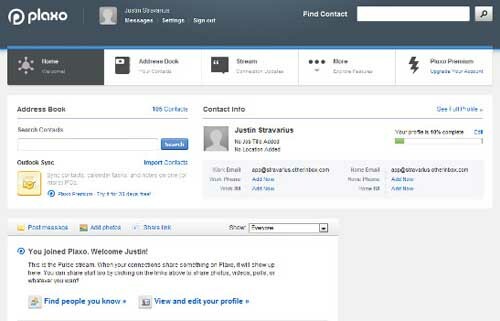 You can add more phone numbers, instant messenger, web site information and the like from the profile page. Searching for contacts is similar to doing a search for contacts in Gmail. Start typing the name and relevant names start showing up. To view the details of the contact just click on their name and we will taken to the page that allows you to add, edit or even import the details in vCard format. Plaxo gets straight to business with the click on the activation link. 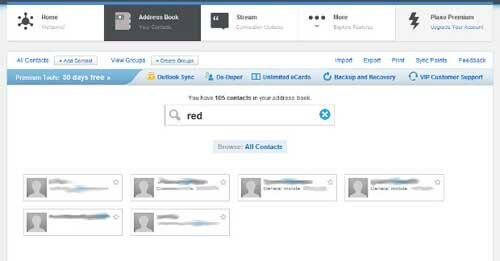 The link leads to the address book aggregation page with a number of email services to choose from. I started with my Gmail account. 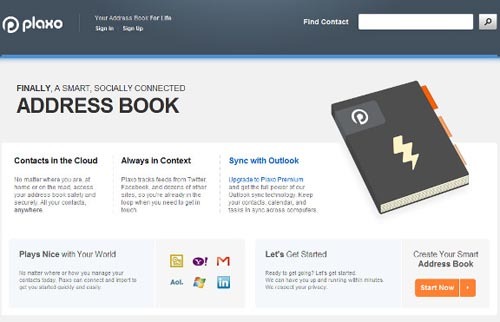 You will have enter your login credentials — Username & Password — in this page. 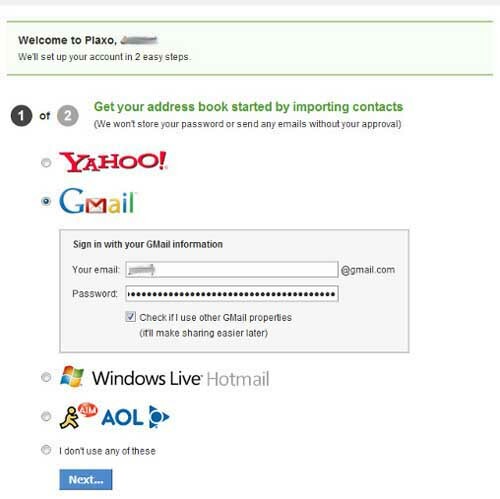 The Plaxo team promises that they are not storing the login info. and wont be sending any emails without your permission. That’s good enough.